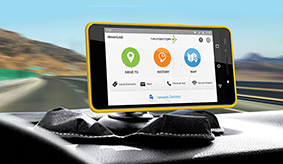 NeverLost is now available fleet-wide in two travel-friendly packages loaded with features. 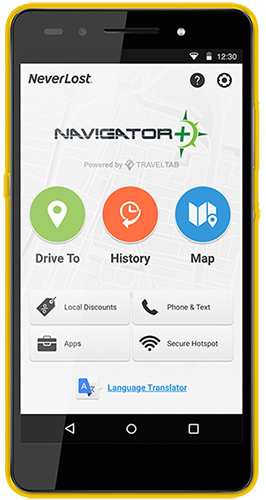 Whether it’s making calls on-the-go, finding the best restaurants in a new city or just finding your way around, the NeverLost Navigator+ and Magellan GPS systems are all you need to make your travel experience easy and enjoyable. Reserve today and add NeverLost to your next experience. *Requires additional purchase. Magellan is a registered trademark of MiTAC International Corporation. Travel Guides: Quickly search over 7 million points of interest to explore the city. Easy Return: Directions to the rental facility when it’s time to return your car. Portable Mode: Take NeverLost wherever you go. 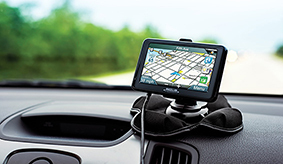 The portable mode makes navigating a destination on foot and accessing other features out of the car easily. Domestic & International Calling**: With credits of talk time, you can stay in touch no matter where you are in the world. Wi-Fi**: Stay connected to your world while exploring a new one. Language Translator: Never miss a beat, translate to multiple languages by speaking or typing a phrase. Discounts**: Get discounts to attractions and stores that are available to Hertz NeverLost customers. 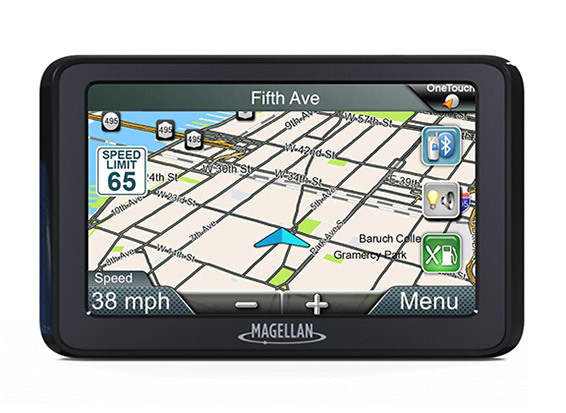 THE NEW NEVERLOST MAGELLAN GPS. Travel Guides: Quickly search over 7 million points of interest and view AAA Diamond Ratings to explore the city. Hands-Free Calling: Pair your smartphone via Bluetooth to make and receive calls. Portable Walking Mode: Take NeverLost wherever you go. The portable mode makes navigating a destination on foot and accessing other features out of the car easily. Hertz Contact Info: Contact Hertz directly from NeverLost to get information about your rental. Magellan is a registered trademark of MiTAC International Corporation.